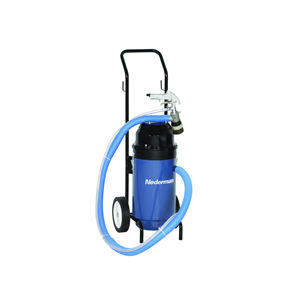 Envirox offers the Nederman SB750 portable sandblaster for all light-duty sandblasting applications. 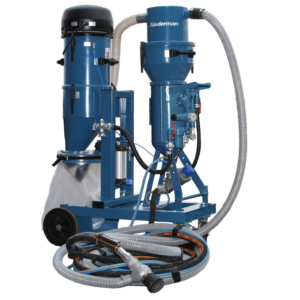 Use this portable, dustless, abrasive sandblaster for a cleaner and healthier working environment. Sandblasting is a highly effective way of removing rust, old paint, welding scale, etc., and replaces mechanical or chemical cleaning. Its compact design and large wheels make the unit easy-to-handle in your workshop. 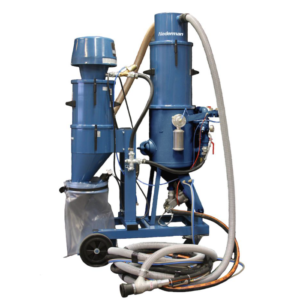 Contact Envirox today for dust-free and economical sandblasting!